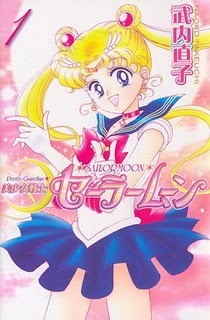 We’ve received confirmation that the Sailor Moon manga will be returning in Germany via EMA publishing in October 2011. Releases will be once a month. The German version will be based on the Japanese 2003 edition, with the previous 18 volumes condensed into 12. Each book will sell for 6.50 € and include colour pages. Also included in EMA’s release will be the two volumes of short stories as well as the 2-volume prequel Sailor V.
Congratulations to fans in Germany! This entry © Moon Chase. Written by Emily and posted on March 28, 2011 at 4:17 pm and filed under Germany, Manga. Bookmark the permalink. Follow any comments here with the RSS feed for this post. Congrats, Germany! Let's hope we can get the anime for the U.S. soon! I'm happy that Germany got the manga. Hopley we get the anime soon. I am so happy that Sailormoon is still alive, and more countries are bringing in sailormoon items, I miss Sailormoon so much, it's almost extinct here in my country, and I am really too young to know how to buy sailormoon items when it was popular here, now I am really missing sailormoon so much, and it's never coming back. Winterlove, what country are you in?